When you’re developing XML sitemaps, no matter on what platform, it’s pretty hard to debug them sometimes to be proper XML. You have to validate all the time and you can’t do a quick “glance” over to see whether your sitemap has the URL’s you were expecting. 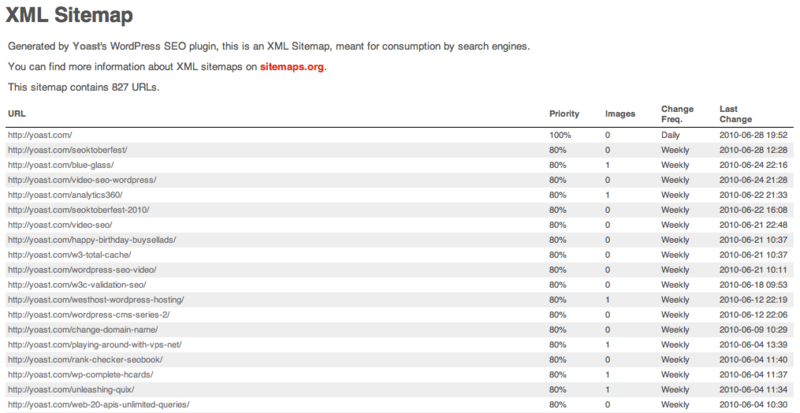 Especially with the recent addons to the sitemaps protocol (check out the image count in the first “normal” sitemap for instance), this makes it a lot easier to see if you’re doing things wrong. 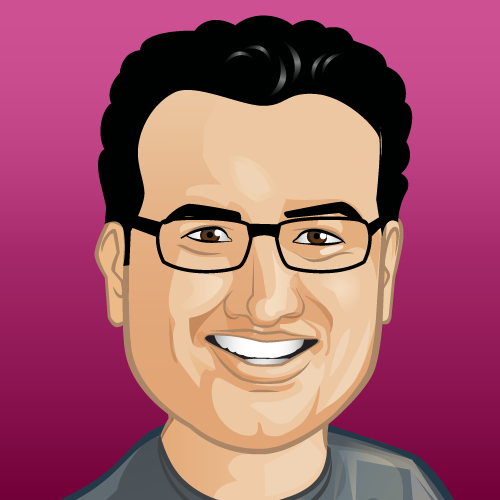 On top of that, using some jQuery, the headers are sortable! Let me know whether you like this, and what you’d like to add to these XSL stylesheets! I am having such problems submitting my site map. I think I do it exactly as indicated but always seem to get an error. I am not an idiot. Please tell me when you release a plugin I am getting dishearten with trying to make any money online. Thanks for the style sheets. These will be a much needed addition to my sitemaps. Not only for me but also for my clients. 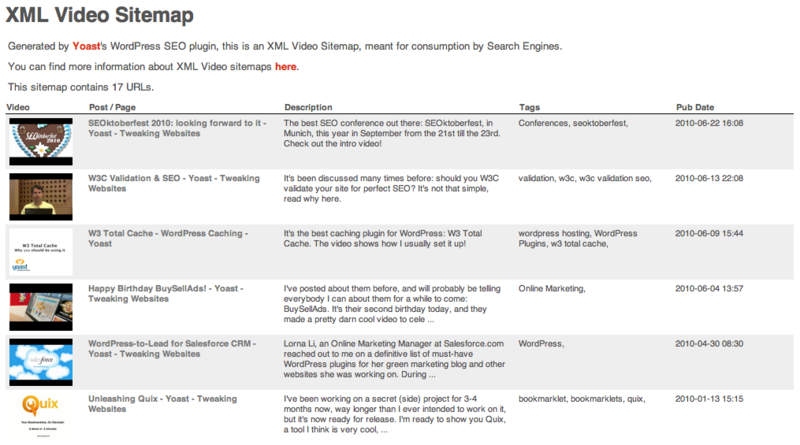 It’s always good to show them what you’ve created, for something like a video sitemap, in a good format. Thanks! 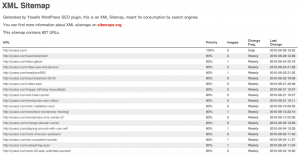 I’m really looking forward to this SEO plugin and I’m excited to hear it’s going to be more of an all exclusive plugin with sitemaps included. That will make my life a little easier installation. Bring on the plugin Joost! 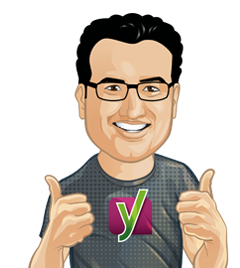 Thanks Yoast, it looks great. 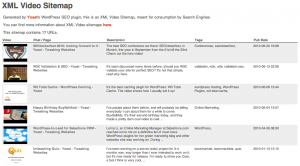 Any idea when your WordPress SEO Plugin is going to be finished and released to the public? Cool. Just one more question. If I am running thesis would your plugin provide an edge over the built in SEO functions that are coming with the thesis theme ? Thanks, I desperately needed this info! Emma, Like Joost said for 1,2) it is not a good idea to host your video on multiple pages, if you have to to do it, then just pick one URL regardless of the macro. 1) If you have the same video on a couple of URLs do you have to do a reference for each URL or is is acceptable to put several URLs in one reference? 2) What do you put as the URL if the video is part of a macro that is placed on several pages as a result of being copied across from the CSS? 1: pick one URL and go for that, don’t host the same video on multiple pages, especially not for Google.